According to DXC Capital Campaign fundraising literature, this first phase of construction is a $2.3 million effort. The City of Duluth “Half and Half” tourism sales tax revenue accounts for $1,250,000 of the cost. 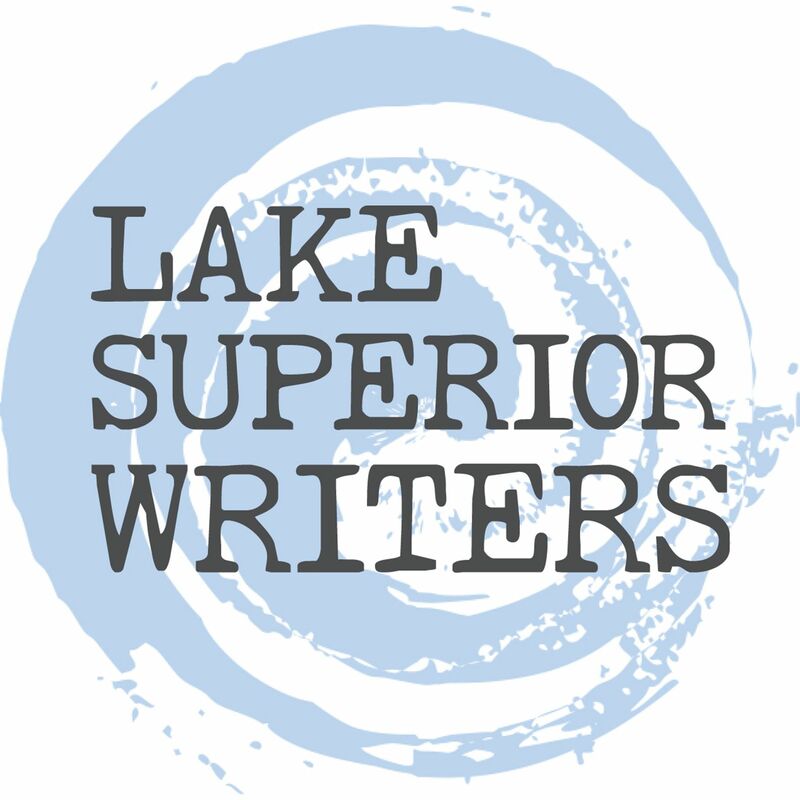 Additional grants helped by contributing $300,000. DXC’s commitment is $750,000. In May 2018, DXC paid the city its initial commitment of $500,000. Around that same time, initial bids for the trail project came in higher than original estimates. The City agreed to match another $250,000 from DXC. DXC is now faced with meeting this additional fundraising goal by March of 2019 to support the higher overall project cost. Part of that optimism is because of a unique day planned for Sunday, November 4th, 2018 in Duluth. Jessie Diggins and Kikkan Randall won the first ever Olympic gold medal in cross-country skiing for the United States during the 2018 Winter Olympics. Diggins, from Afton, MN will be visiting Duluth for two events on that Sunday. 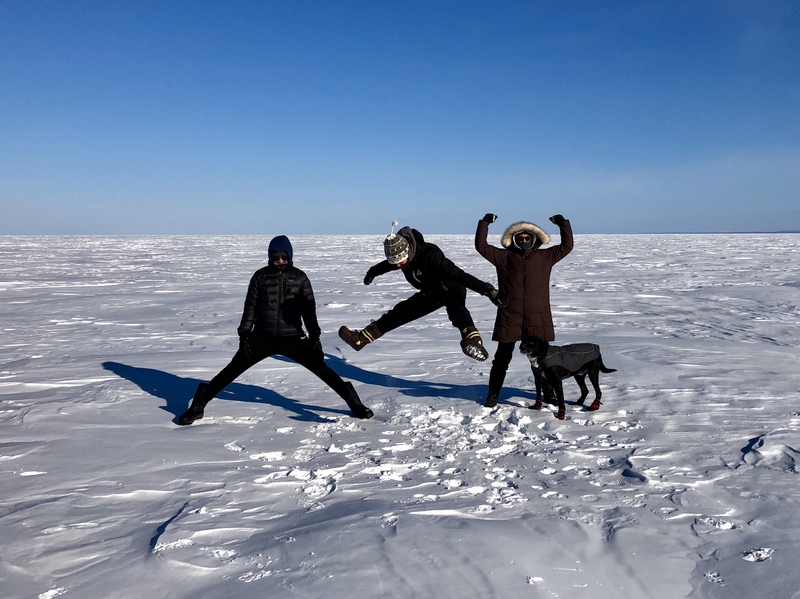 Later that day, at the Pier B Resort Hotel from 7 – 9 PM, there will be a ticketed fundraising event called “Going for Gold in Duluth” with Diggins as the guest of honor. Duluth Mayor Emily Larson will attend along with Kara Salmela, local two-time Olympic biathlete. Chad Salmela, College of St. Scholastica cross-country running coach, will emcee the event. He famously delivered the animated “Here comes Diggins! Here comes Diggins!” quote as Olympic ski commentator for NBC Sports as Diggins won her gold medal. Bent Paddle Brewing and Bernick’s will be donating all proceeds from the event to the DXC Capital Campaign in support of GANC. Trail construction has been a long time in coming. March 2015 saw the approval of the St. Louis River Corridor initiative that outlined many outdoor infrastructure improvements for the City of Duluth, including GANC. This directly followed the Half and Half Tourism Tax that was approved in 2014. In May 2015 and Oct 2016, John Morton, trail designer, worked with Gary Larson and the City of Duluth to design a proposed path for the trail. There have been many challenges along the way in trying to build this new 3.3K trail. 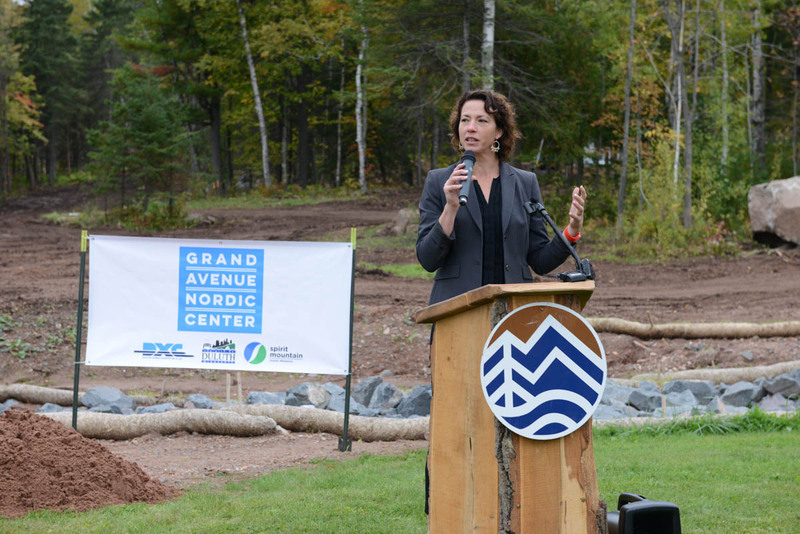 On October 2nd, 2018 at the base of Spirit Mountain in Duluth, dozens of people gathered for the Grand Avenue Nordic Center (GANC) Groundbreaking Ceremony. 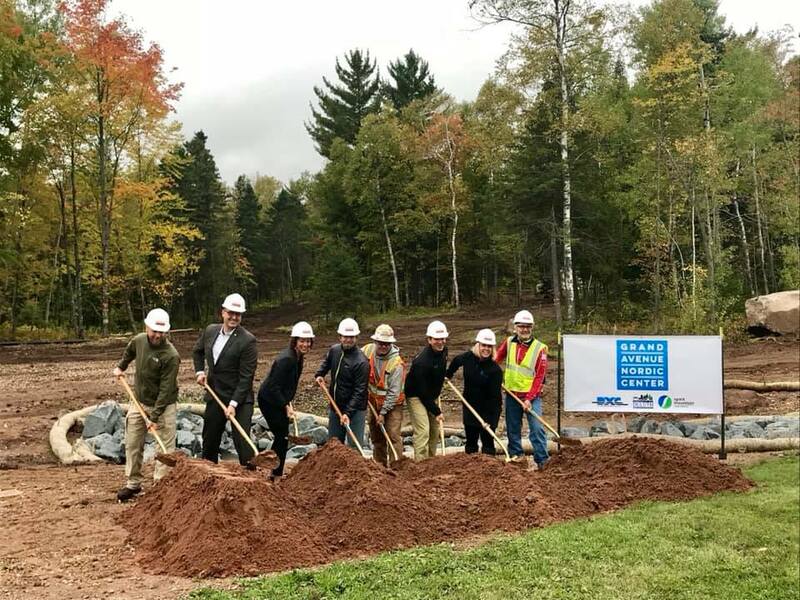 Emily Larson, Mayor of Duluth; Brandy Ream, Executive Director of the Spirit Mountain Recreation Area; and Matt Ryan, of the Duluth Cross Country Ski Club (DXC) all spoke about this important milestone at the trailhead. Gary Larson described one difficult obstacle. “The biggest challenge was the stadium and getting the necessary trail widths,” Larson said. The “stadium” is the typical label for a start/finish area of a trailhead. At GANC, it’s the large area next to the Spirit Mountain lower parking lot. 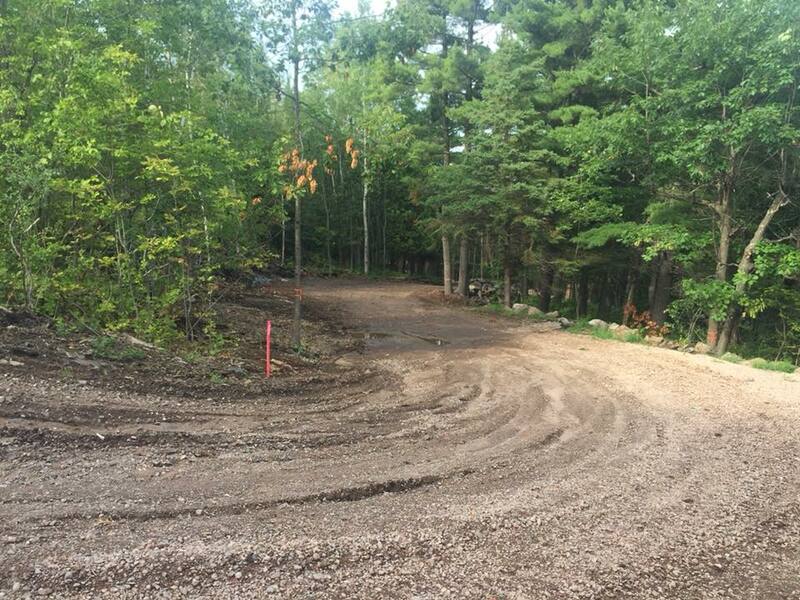 It will serve as an open snow area for lessons and group sessions for beginning skiers, but it also has to meet certain requirements in order to serve as a start/finish area for events such as a Junior Nationals Qualifying (JNQ) event. Several people interviewed mentioned GANC as a possible venue for a JNQ event due to the quality of the trail and the reliability that snowmaking will provide. Larson talked at length about other challenges and trail design elements. 2.5K of the existing 3.3K are a robust 30 feet wide that will provide a flowing, purpose-built experience for all levels of skiing ability. The electrical infrastructure is designed to support snowmaking and lighting. The lighting system is planned to work with motion sensors and dimming capability so that lighting levels can adjust depending on use. Only three lights are currently being installed near the stadium area as a test. Larson said the snow guns being purchased are called the Silent Polecat and Kid Polecat, chosen for the fact that they are quieter than other snowmaking equipment. The lighting and snowmaking capabilities were designed to be useful but also so GANC would be a good neighbor to the community. But there is more to do. Future work involves widening the last 800 meters of trail to match the width already built. Snowmaking is then supposed to expand from the current 1.5K to support the entire 3.3K. Lighting also needs to grow to illuminate the whole loop. 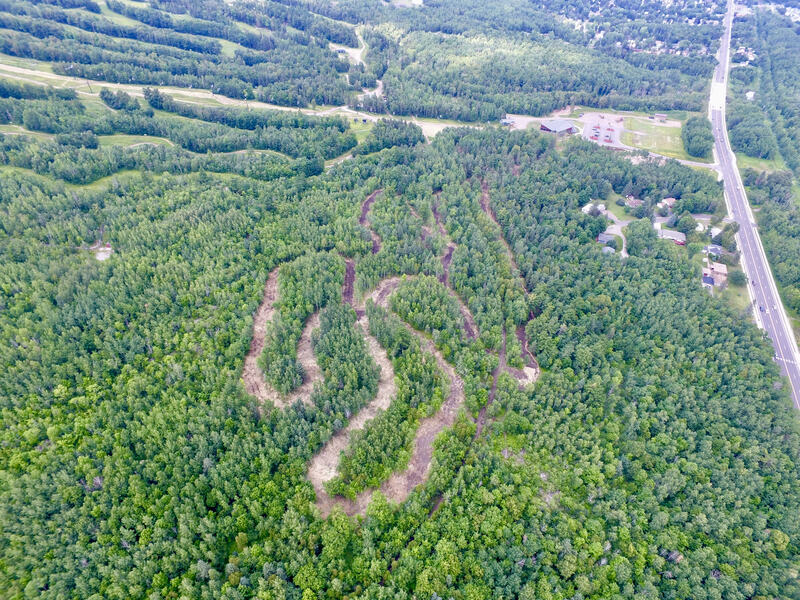 A new segment of trail will connect the GANC to the existing cross-country ski trail system at the top of Spirit Mountain. The full vision of the GANC Master Plan is still a good distance away. Glad to see Nordic skiing growing in Duluth! Good time to ski cross country!